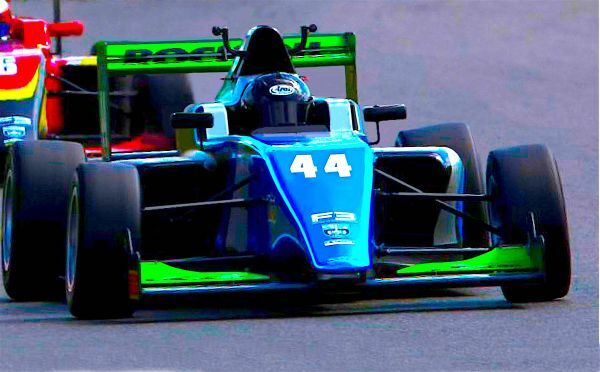 South Africa's British Formula 3 rookie Eugene Denyssen was delighted to come away from Snetterton with the Driver of the Day award and two more top-ten race finishes following a trying weekend for the Somerset West racer at the penultimate round of the series. "It was a difficult weekend overall for the team," Eugene explained. "We were forced to replace my carbon fibre tub before qualifying after I ran wide onto an exit curb during practice and a rock punched a hole into my race chassis. "Luckily we had a spare and the team did a great job to completely rebuild my car over onto the new tub overnight on Friday. "We struggled with pace after that, but I'm grateful for the hard work the team put in. "Qualifying did not go as planned - we struggled to get the tyres to work at their peak, but I managed to drive two good races to finish 10th in races 1 and 2. "Those were not exactly the results we were looking for, but I was delighted to be handed the Sunoco Driver of the Weekend Award for the competitor who did the most overtakes through the three races. "That's a special one for me, because Snetterton is not an easy circuit to pass on with all the downforce the car produces, so I'm extremely happy with that. "Now it's another long break until the final round at a track we should be strong at when we go to Donnington 10-11 September," Eugene concluded. "Lots of time to work hard to be sure I end the season off with our best results of the year."